A mini Labradoodle is a cross between a Labrador and a Toy or Miniature Poodle. Most miniature Labradoodles will have a maximum height of less than 18 inches and a wavy or curly coat. The mini Labradoodle is an intelligent active dog that is likely to need clipping or regular grooming. Labradoodles of all sizes have taken the world by storm in the past few years. Most of them were created by crossing a Labrador Retriever with a Standard Poodle. In this article, we’ll take a look at why people love miniature Labradoodles, and what you can expect as far as health, temperament, and care. Our readers’ most popular and frequently asked questions about the mini Labradoodle. What is the average size of a mini Labradoodle? Where can I find toy Labradoodles near me? Are mini Labradoodles good family dogs? Don’t see your question answered here? Let us know in the comments! Popularity: The Labrador Retriever is the number one most popular breed in the US, according to the AKC, while Poodles come in at number seven. Now it’s time to get into some specifics! Do you see a specific portion you’re more interested in? Go ahead and use our handy jump links to go directly to that section. Designer dogs can be a little divisive. Some of us love them and some of us don’t. Mixed breeds are definitely becoming more and more popular, though they are still controversial. The miniature Labradoodle is a cross of a Miniature Poodle and a Labrador Retriever. Any Poodle under 10” at the shoulder is a toy, 10-15” is miniature, and larger than 15” is a Standard Poodle. This means that far from a new mixed breed, the mini Labradoodle is just a Labradoodle where the Poodle parent happens to be Miniature. Labradoodles were thought to be created in the search for a “hypoallergenic” dog, or at least one that would be easier on owners with serious allergies. Mini Labradoodles were further created because, well, miniature things are even cuter than the normal size! They also take up less space for owners in constricted living conditions. 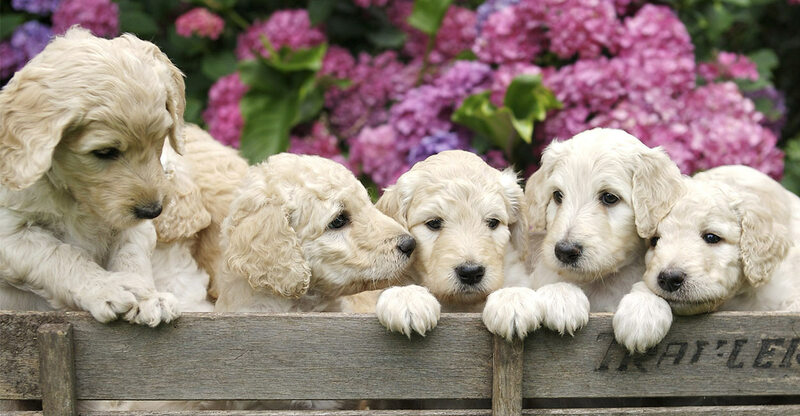 Labradoodles first began to be better known in the late 80s, in Australia. Only more recently has their popularity spiked. The crown prince and princess of Norway own Labradoodles. Within any given litter there will inevitably be a huge variance in size, with different pups taking after different parents, and some landing somewhere in the middle. In fact, your miniature Labradoodle full grown might be as large as its Labrador parent. Miniature Poodles can be as small as 10 inches at the shoulder, and Labradors as tall as 25. An adult mini Labradoodle, directly crossed between a Miniature Poodle and a Lab, will be anywhere within these size ranges. And anywhere within the weight ranges of 12-80 pounds, too! If you are set on your mini Labradoodle being mini, look for a second generation miniature Labradoodle. If two genuinely small mini Labradoodles are bred, their pups will be much more likely to carry this size trend on with them. This is the only way to almost guarantee mini Labradoodle size. With this being said it’s always possible one will still come out Lab sized at this stage. There are tons of coat color possibilities, drawing from all the Lab and all the Poodle colorations. You could have a miniature chocolate Labradoodle, a black mini Labradoodle, or just about any color Labradoodle you want! We’re perhaps most familiar with heavily groomed and styled Poodles, but they naturally have a fluffy, shaggy coat over their entire body. Mini Labradoodles in their most conventional appearance will have this coat, coupled with some more ‘Labradorish’ physical features. In general, these are friendly, playful family dogs. They owe this to their parent breeds. Both are energetic but social breeds, and make excellent family pets. Labs can be a bit more pushy with strangers, and Poodles a little more aloof. Your pup’s personality could go either way. Labradors are also prone to boredom and loneliness if left for long periods. Even a Lab mix isn’t ideal if you work full time or are away from the home a lot. You’ll want to raise a confident dog too. Even a usually sweet tempered mix like the mini Labradoodle could end up unpredictable through poor rearing. Dogs usually get aggressive not out of any misplaced sense of dominance, but because they feel scared. Socialization plays a huge part in stopping this from ever being an issue. From the moment you bring your mini Labradoodle puppy home you should be exposing it to new places, people and dogs. Failure to do this can result in a dog that’s fearful of new people in the house, and nervous and insecure when out in public. Until relatively recently people regularly hit their dogs and used punishments as the main reinforcement in their training, we now know this is not a good idea. Studies have shown punishment based training methods create aggressive dogs. Fortunately there’s a better way. 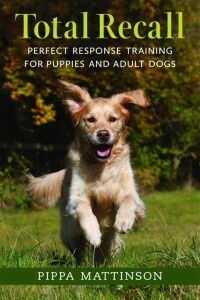 Positive training methods are not only more effective, but don’t result in a nervous dog. Both parent breeds are energetic and athletic. Your mini Labradoodle will needs lots of playtime and exercise, though how much time may depend on how small he actually is. 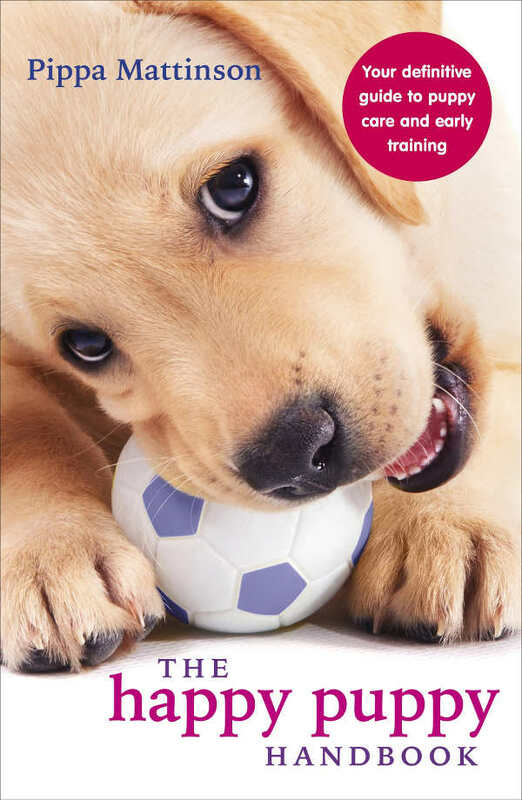 For further tips on training, check out our crate training guide and puppy potty training guide. 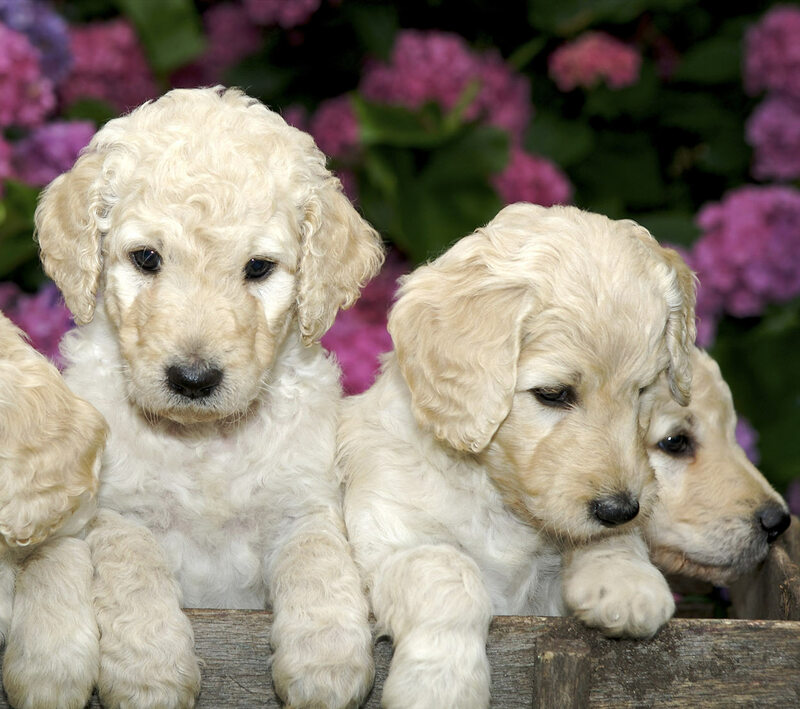 You can reduce the chances of your Miniature Labradoodle inheriting their parents genetic diseases by only choosing a puppy from a litter where both of their parents were health tested. 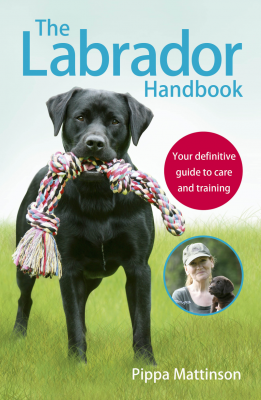 Labradors and Poodles commonly suffer from hip dysplasia, a malformation of the hip joint. This disorder will gradually put extra stress on their joints, and can lead to a dog that’s much less physically able. The extent to which a dog has hip dysplasia can be examined through an x-ray, and a hip score given. It’s important to point out that, while Poodles are at risk of hip dysplasia, the Miniature size bracket of Poodles seems to experience lower instances of this disorder. The Lab parent must have good hip and elbow scores. The Poodle parent should ideally have good hip scores. Labradors often carry a gene that predisposes them to a condition known as ‘exercise induced collapse’. It’s important to spot this early on so we can take measures against it with our vet, but as the name suggests it involves dogs becoming suddenly unable to stand after exertion. Don’t buy a pup whose parent has suffered from this. Labs can also suffer from PRA blindness. Make sure both parents are DNA tested clear. Some purebred breeders argue that this presence of two different sets of diseases will make mixes less healthy, but this is a misunderstanding of genetics. Outbreeding will mean less of the genes for these conditions have a chance to match up. But not impossible, which is why you should still have each parent health tested for their own conditions. With this being said, with mini Labradoodles being given pedigrees of their own by independent organizations, this issue may have a chance to rear up again. If miniature Labradoodles are treated as an independent breed, they may eventually be line-bred back into the state of disrepair we find modern purebreds in. Even so, having the genetic diversity of two breeds of dog does stand them in better stead than most. The mini Labradoodle lifespan will be a product of the parents’ lifespans and potentially will be increased a little by being a cross. Labs live on average 12.5 years and miniature Poodles an impressive 14 years. So you can hope for your mini Labradoodle pup to experience somewhere in that region. As far as coat and grooming, remember that your toy Labradoodle could inherit from either parent. So their coat may be shorter, like a Lab’s, or it could be long, thick, and curly like a Poodle. Or it could be somewhere in between! Poodles and Labradors are both family friendly happy-go-lucky breeds. So their offspring, no matter the size, is likely to be the same! Are you happy to exercise, train and socialize your dog every day? Do you spend plenty of time in the home, and are you happy to do lots of grooming? Are you family all on board with the idea of getting a dog? If you can happily answer yes to all of the above, the mini Labradoodle should be a good choice. With good socialization and proper training, you can expect your mini Labradoodle to be a wonderful family pet. However, remember that a dog like this requires care and attention, and doesn’t do well when left alone for long periods of time. 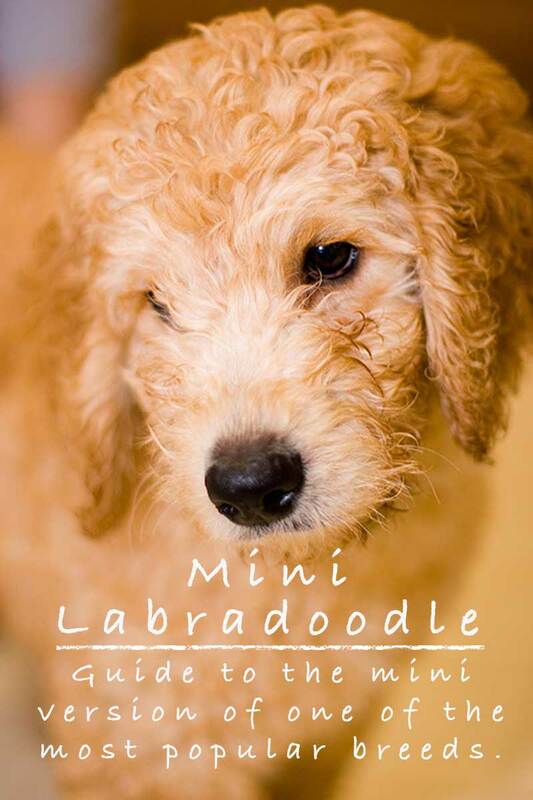 Are you thinking about getting a mini Labradoodle, but not sure whether you want to start from scratch with a puppy? Consider rescuing an adult or senior dog who needs a good home. It’ll benefit both of you! On top of the heartwarming feeling of helping a dog who really just wants someone to love, mini Labradoodles keep their cuteness regardless of their age. So even if the dog you adopt is well past puppy stage, it might look like he’s always an adorable youngster! Take a look at some of the rescue organizations we’ve listed below. 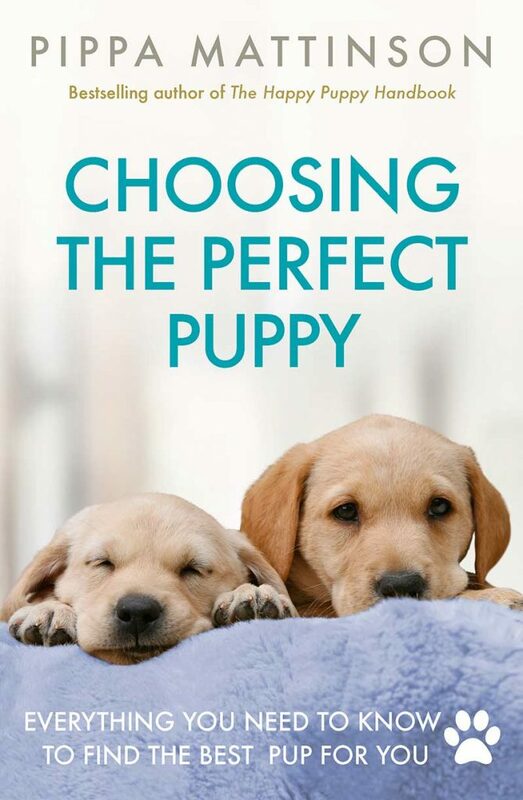 But if you’re really set on finding a puppy, take a look at our puppy search guide. As you go about your search, make sure that you avoid backyard breeders, puppy mills, and pet stores. These sources most likely will be far more concerned about making money than about the health and happiness of their pups. When you go to see a prospective pup, always ask to see the parents. You can gauge their temperament, and if it is a second generation mix even make sure of the size. You should also ask for the medical history of the parent dogs, to see if there might be any nasty inherited surprises. Choosing the right breeder is very important. 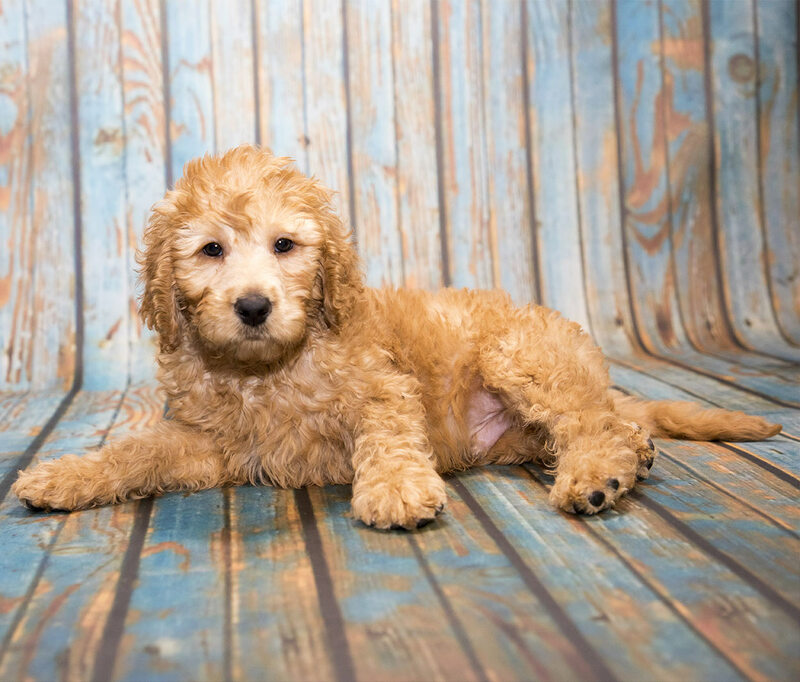 Labradoodles, and their miniature varieties, are one of the most popular mixed breeds, so finding a breeder shouldn’t be too difficult for aspiring owners. But finding a good breeder might be a bit trickier. Good breeders don’t churn out puppies with cash as their only motivation. The mother should be a treasured pet, know her own name and have a clear bond with the owner. They shouldn’t have too many other dogs, and they should be treated as members of the family. The breeder must keep the puppies in excellent conditions, and ask you lots of questions as well as being happy to answer yours. They will also thoroughly health test. 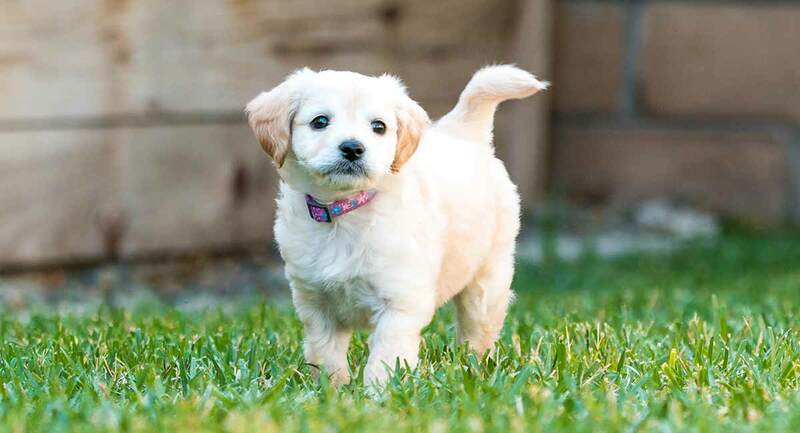 As we’ve said, to be more sure that your mini Labradoodle puppies will actually be small, you’ll need to go for dogs bred from two genuinely miniature Labradoodles. A mini Labradoodle puppy will range in price from hundreds to a couple of thousand dollars. It’s worth pointing out that although some of the cheapest dogs might be tempting, there might be something you’re not being told. Mini Labradoodles are really popular, so there’s plenty of incentive for puppy farms and unscrupulous breeders to breed unethically. Caring for a vulnerable mini Labradoodle puppy is a big responsibility. You’ll find them listed on our mini Labradoodle puppy page. For more recommendations, scroll through our reviews page. Some other breeds may compare favorably with the mini Labradoodle. If you’re interested in truly getting something “mini,” for instance, check out some of these options. On the other hand, if you’re more interested in the mix factor, there are other breeds worth investigating, too. There are so many mixes out there, it would be hard to count them all! But in the search for the perfect companion, it’s worth all the effort of investigating. It may be hard to find rescues for specifically mini Labradoodles, but here are some Labradoodle rescue organizations that are a great place to start. If you know of any other rescues that may focus on Labradoodles or toy Labradoodles, please let us know in the comments! 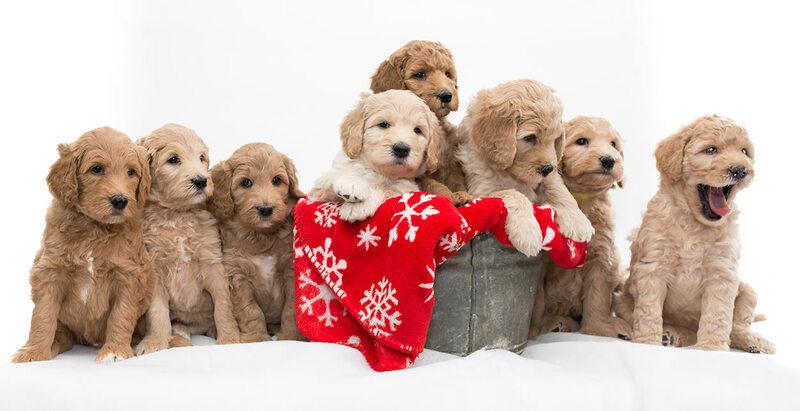 I am also from Western NY and looking for a Mini Labradoodle breeder, and am having a terrible time! I do not mind travelling some distance but I do want a reputable breeder and to see some health guarantee/genetic testing results and the ability to view the parents and to FaceTime or Skype to see the puppies, etc. before driving. Any recommendations? I will pick my Labradoodle puppy tomorrow, Sunday, 2/24/19 and will bring her home at 8 weeks. This breeder has kept me informed of the litter’s progress from birth to 8 weeks. They post weekly photo’s and both the mom and dad are checked and tested for any genetic disorders. Puppies are checked by a vet. and microchipped, and receive necessary immunizations. Puppies live with their Mom and siblings on site w/the breeder until they are ready for adoption. Where can I find a breeder in NC? Do they shed their coats? Hi Pat, All dogs shed to some extent. Labradors are high shedders, and Poodles fairly low due to their curly coats. Labradoodles can fall anywhere in between, so they might be high or low shedding depending upon how curly their coat turns out. Just trying to find out do mini Labradoodles have the runny or stained eyes look?